Sponges ready. It's spring cleaning time. If you need any help with deep cleaning in your carpets, we'd be happy to help. Please call (319) 268-1521. Spontaneous Combustion can cause serious fires if not attended to. 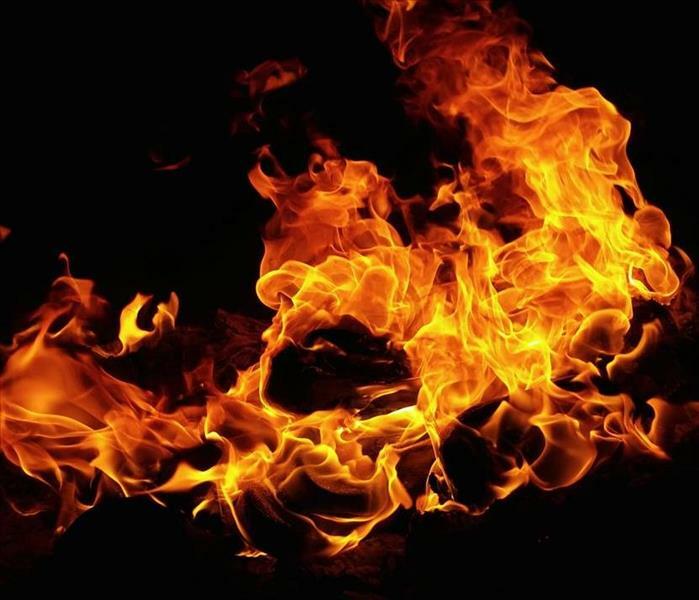 Have you ever heard of something catching fire out of the blue without being exposed to an open flame? Believe it or not, this can actually happen. It’s called a spontaneous combustion fire. In these cases, oil-soaked rags can slowly heat to their ignition point through a process called oxidation. The products that are at risk include oil-based paints and stains, teak oils, varnishes, paint thinners, etc. Heat will begin to release from the rags; however, if the heat cannot escape, the temperature will increase to a level high enough to ignite. SERVPRO of Black Hawk County has responded to several calls where the fire was caused by spontaneous combustion. The true danger is if the fire starts while you are away from your home. Damage can happen all too quickly when time is on a fire’s side. We encourage you to properly dispose of your rags after exposed to oily substances. The best method is to place the rags in a metal trashcan with a tightly fitted lid on top. You can then fill the remaining space in the trashcan with water to prevent the rags from heating up. However, this is a temporary solution. The long-term answer is to wash the rags in a hot cycle as soon as possible. Hopefully, you will never experience such an occurrence, but if there is a necessity for clean up after a fire, know that SERVPRO of Black Hawk County can assist you! Our "Be Ready" kits are the perfect fix for seasonal colds and allergies. SERVPRO of Black Hawk County cares about more than just your home or business. We also care about YOU as a person. Although we all try to be superheroes on a daily basis, we sometimes fall short because we’re human. Our strong, but vulnerable, bodies cannot always fight off illness when we are thriving 110% of the time. Since we formulate Emergency Ready Profiles (ERP’s) for businesses and homes regularly, we decided to do something similar for the business and homeowners. This led to our “Be Ready” packages. These are the items that are typically needed when people are feeling under the weather but are not always on hand. The last thing anyone wants to do when they’re sick is run to the store to pick up a “few” items. As always, we do it because we “CURE” about you! It pays to take your time and do your research when making big purchases. Buying a home is no small purchase. In fact, most people spend 20 years paying off their home. That’s why we want you to be well-informed as you make a decision of a lifetime. The first item you should focus on is location. Is the home in a flood zone? Are there any bodies of water nearby that could threaten your home? Particularly, if you’re moving to a new area, it’s even more important to do your own research on the area to ensure you’re aware of any potential problems. Next, you should be aware of the ground the home sits on. Will water go toward the house or away? The answer should always be away. Be particularly cautious if the home is located at the bottom of a hill. The last thing you want is for your investment to become a money pit as soon as it starts raining. Landscaping can a quick fix in some cases, but not always. 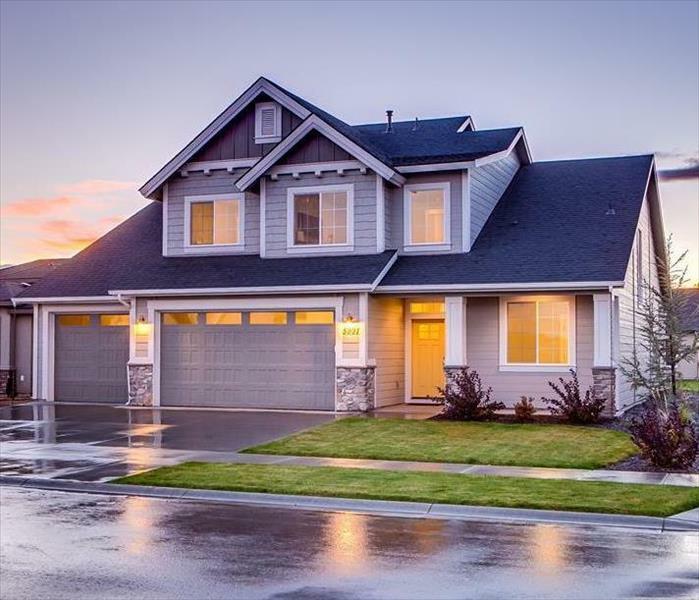 We highly recommend hiring a home inspector to give you closure that the home is structurally sound and won’t give you problems. The most expensive thing to renovate in a home is everything behind the walls (bathrooms and kitchens are the worst cost-wise). So even if the floors have been redone and the cabinets have been replaced, don’t be too quick in making a decision. There's an app for that! The ITEL speeds up productivity. The ITEL app at work! Technology is helping save time, money, and energy in more ways all the time. SERVPRO of Black Hawk County is thankful for the advances it has brought to us in determining replacement costs for carpet and pad after a water loss. The ITEL app is one more way we are implementing to help reduce stress for customers and insurance agencies alike. Previously, our office administrator, Lisa, would cut the samples to the correct size, bag them up, and ship them to Florida. A specialized company there would evaluate the sample and send back results for the adjuster and insurance company to settle on reimbursement. With mailing, the risk of losing samples, coupled with the wait time, evaluation and then reporting, took weeks. This process made restoring a customer’s home or business lengthy. 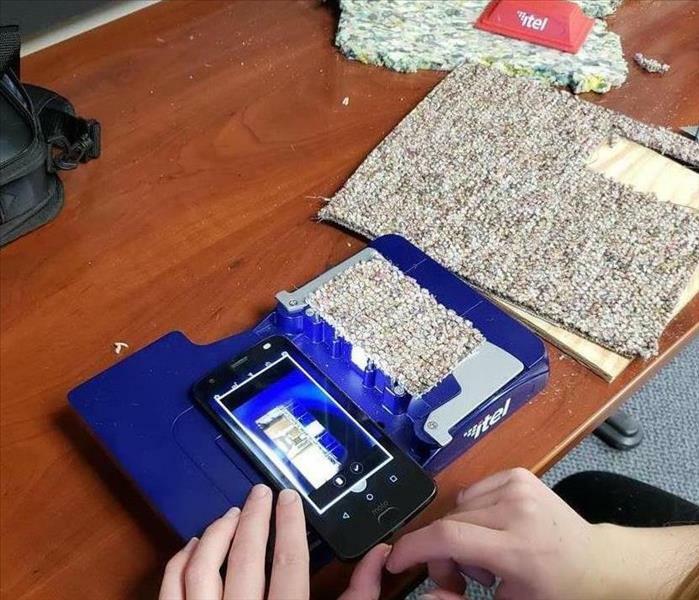 Now, after cutting carpet and pad samples to the correct size, our job coordinator, Nikki, can simply use the ITEL app to submit a test for the claim in a matter of minutes. Results are provided in 30 minutes or less. The app is so easy and convenient; it does not require education or prior experience with these materials. It guides you with step by step pictures and videos for user ease. Another bonus is the ITEL app communicates to the insurance company itself! The whole process eliminates the lengthy wait and speeds up decision making. 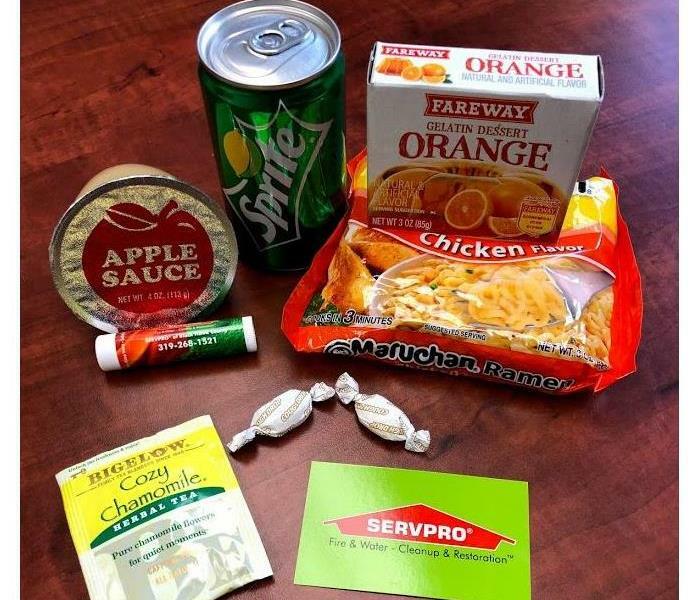 SERVPRO of Black Hawk County is thankful technology is helping us get your home or business back together so quickly! Join us for a day of Continuing Education with Todd Davis. 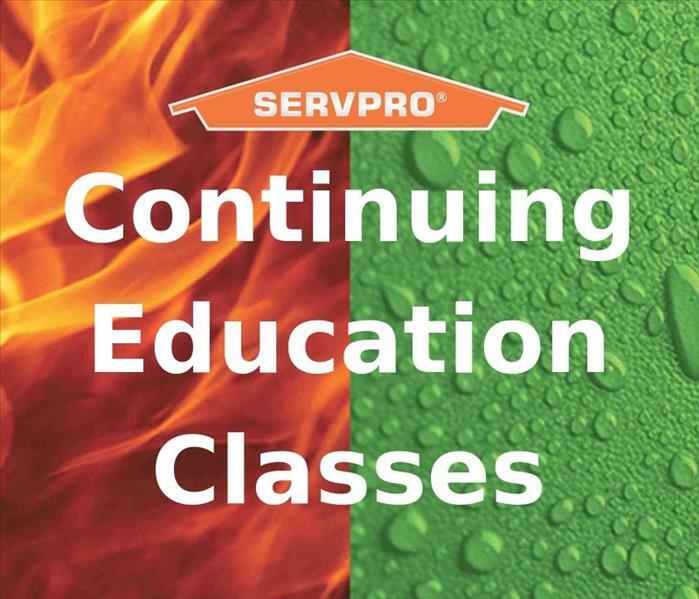 SERVPRO of Black Hawk County has a history of hosting Continuing Education (CE) classes for insurance agents at Hawkeye Community College located in Waterloo, and this year is no different. On April 25, we will have two classes with Todd Davis as our instructor. Todd has been a great addition to our class time traditions. Many agents have complimented that he keeps the information relevant and interesting. He is an independent insurance agent with the Davis Agency Insurance based in Peoria, Illinois, and he has 30 years of experience as an insurance agent. It is $20 to attend one class and $35 to attend both. The fee covers the class as well as lunch. Space is limited, so we encourage you to register as early as possible. 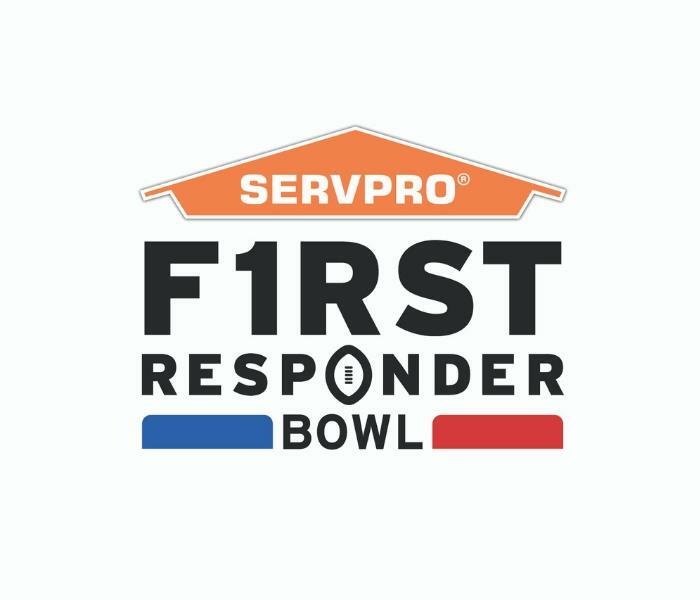 Registration can be completed by emailing debbie@SERVPRObhc.com, calling 319-268-1521, or completing the form on our website. Be your own advocate and ask your agent about your sewer backup coverage today. Insurance can be a tricky concept to understand. There’s just so much to know that it’s no surprise that we miss details here and there. One detail we want you to be aware of is your policy regarding sewer backup. Every insurance policy is different in this matter, and we strongly recommend consulting with your agent to ensure you are covered. 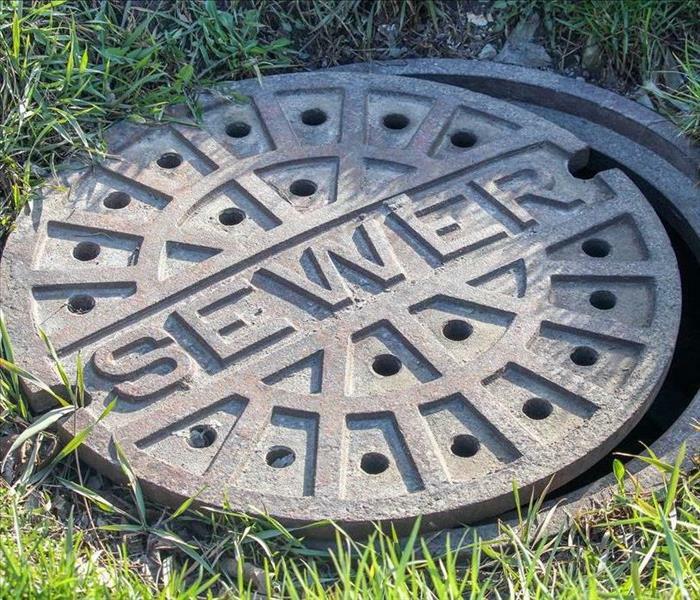 Sewer backup happens all too often when it’s least expected. In fact, sewer backups are increasing at an annual rate of 3%. That’s an alarming percentage because it’s happening in homes that haven’t encountered it for 30 plus years, and it’s also happening in homes that are fairly new. The fact is no discrimination is involved when life decides to throw something unexpected your way. One way you can protect your home is to add a sewer backup endorsement to your policy. It’ll only cost you $40 to $250 annually depending on your home and location, and it covers thousands of dollars more than the included coverage. Please note this is different from water backup coverage. A typical sewer backup can cost anywhere from $500 to over $5,000 in repairs and cleaning. It is heavily dependent on whether or not the sewer backup occurs in a finished basement or not. We hope this information encourages you to spark up a conversation with your agent because it’s easily overlooked. Even one of our employees found out she didn’t have coverage when she joined our team, but now she’s all set with the additional coverage. We put lives back together one person at a time. 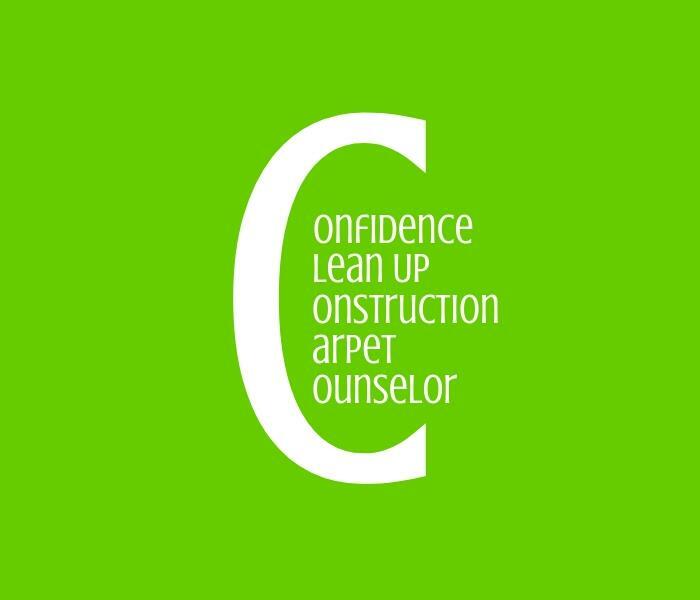 We instill confidence in the homeowner or business because we are professionally trained to restore their items and space. We do all of the cleaning, packing, organizing, and returning of items to their previous state. 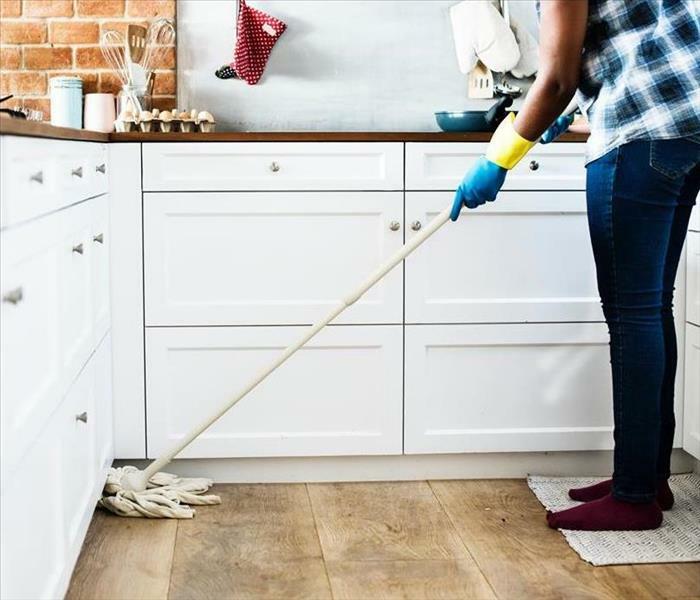 During this process, we also clean up after ourselves and leave your space in an organized and tidy manner. We cut, tear, and haul out the drywall, carpet, appliance, and excess items that can’t be restored. When we’re not responding to an emergency, we also do residential and commercial cleaning, including carpet and upholstery. As weird as it may sound, we help people get through their loss emotionally as well by listening to them and consoling them when they’re at their lowest. This part is just as crucial as the actual cleaning and construction. Product Technicians, Devon and Keiland, donate non-perishable and self-care items for the food drive. It takes a great deal of compassion to work at SERVPRO because we walk with people through their losses. These same individuals who put their heart and souls into their jobs have passions outside of work as well. One of them being the Northeast Iowa Food Bank. 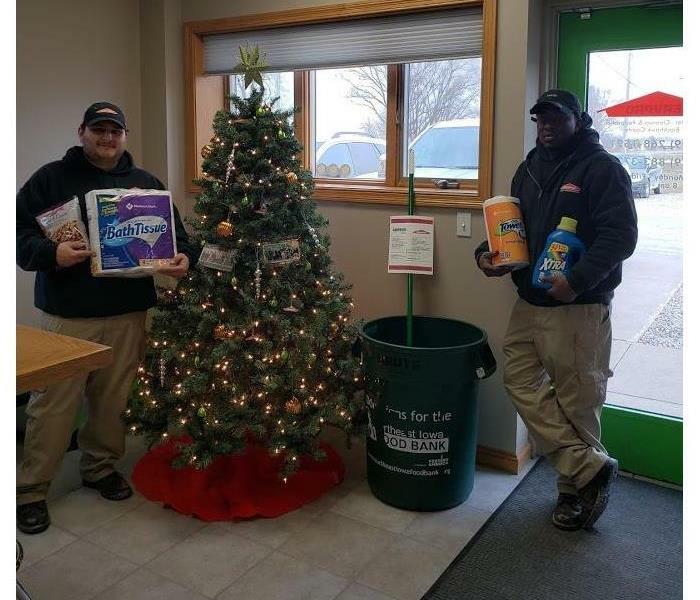 This past November and December, SERVPRO of Black Hawk County hosted a food drive during the holiday season. The idea stemmed from Devon Burgess, Product Technician. His support for the Northeast Iowa Food Bank runs deep in his being, and he moved the rest of the team to make a difference during the season of giving. The Northeast Iowa Food Bank was recently recognized as the 19th best in the country, and that’s thanks to the support of the community and organization of the Food Bank, itself. After finishing our food drive, we were notified that we donated 76 lbs. of food. We will continue to donate to local nonprofits because that’s what we do—we help people! 3/20/2019 - There's an app for that! The ITEL speeds up productivity.